Las Vegas offers more than gambling and bright lights. If you are a golfer you will find some of the most beautiful places in Vegas to come to play golf. There are some great courses located all through the Las Vegas Valley and you can even golf right on the strip. Las Vegas is home to over 40 lavish golf courses. Not only can you play individual matches with your friends but also you can participate in tournament play. 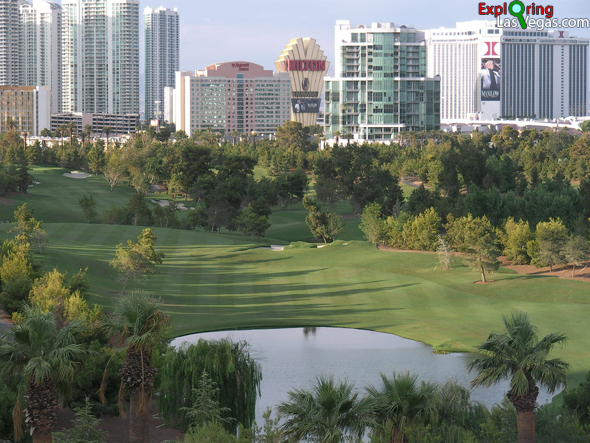 If you are looking for a vacation place where you can spend time golfing then you will be pleased with the golfing options available to you in Las Vegas. Of course everyone knows that Las Vegas offers great entertainment but many people overlook the golf courses available. If you are a golf lover who has visited before and not had the chance to play a round of golf here then it is time you plan a golf vacation to Vegas. Cold or rainy weather is rarely an issue so you will be able to enjoy the warm sun even in the wintertime. If you would like to set things up for your golf games before you arrive in Las Vegas that is possible too. Before you arrive take some time to have everything preplanned and set up so you can be picked up in a limo and taken to your golfing destination. Las Vegas VIP is one place to contact to help you set everything up. They will have information available if you are looking for a tournament to compete in and make all the arrangements simple and easy for you as well as finding the best price available. Not only can you find gorgeous golf courses all through Las Vegas you can also golf right on the strip. The Wynn casino offers a golf course right on its property. Another course which is located near the strip is the Bali Hai Golf club which is a tropical paradise. Further off the strip you can golf at a course called Desert Pines which is fashioned after the Augusta National golf course. Or you can visit Reflection Bay which is billed as Las Vegas' most complete golf experience and is home to 2 championship courses. There are also golf tournament opportunities in Las Vegas. You can compete in an amateur tournament like the Las Vegas Armature tournament in October or the MGAN+PC in July. There are also other opportunities to come and watch PGA professionals play in tournaments as well as charity golf events which are sponsored by celebrities like Justin Timberlake. Even though golf may not be the first thing that comes to mind when most people imagine Las Vegas the golf courses are simply amazing. Anyone who loves the sport of golf should consider the golfing experiences offered in Las Vegas to be well worth the travel. Especially those golfers who live in a colder climate should consider that Las Vegas will provide a warmer place to relax and enjoy a game of golf.